With Pinnacle Studio 20, you can create movies that combines pro-level editing and unlimited creativity. However, before you start your video editing work, one of the big concern you care about is the media compatibility of your footage with Pinnacle Studio 20. 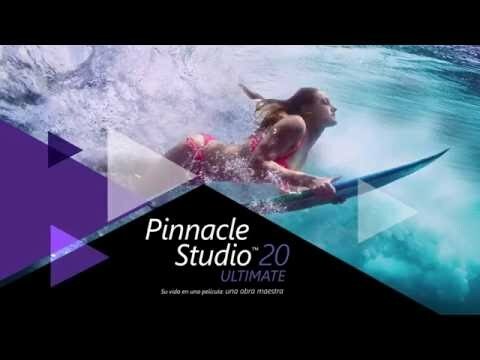 The following article will list the import formats supported by Pinnacle Studio 20 Standard, Pinnacle Studio 20 Plus and Pinnacle Studio 20 Ultimate three different versions and how to load unsupported file types into Pinnacle Studio for smooth post editing workflow. From above lists, we can see that both Pinnacle Studio 20 standard and Pinnacle Studio 20 Plus lack input support for the popular HD or 4K video footage format such as HEVC, XAVC, XAVC S, DVCPRO HD, MXF, recorded by camera/camcorders. You will need to pay more money to buy the more advanced version - Pinnacle Studio Ultimate to overcome the media incompatible issues. 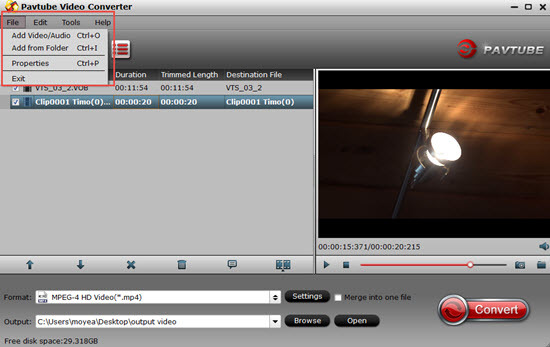 For those people who insist on editing video on Pinnacle Studio 20 Standard/Plus version or the previous version of Pinnacle Studio, you can easily fix this format incompatible issue with our powerful video conversion tool - Pavtube Video Converter (best video converter review), which can powerfully transcode virtually any digital file formats including AVI, WMV, MP4, MOV, MKV, FLV, ASF, 3FP, VOB, ect and some popular footage formats such as MXF, XAVC, XAVC S, AVCHD, Prores, H.264, H.265, etc to Pinnacle Studio compatible editing formats listed above. If you have a 4K video footage to edit with Pinnacle Studio with non 4K capability, then you can use our program to beneficially compress 4K to 1080p for smooth editing workflow on Pinnacle Studio. 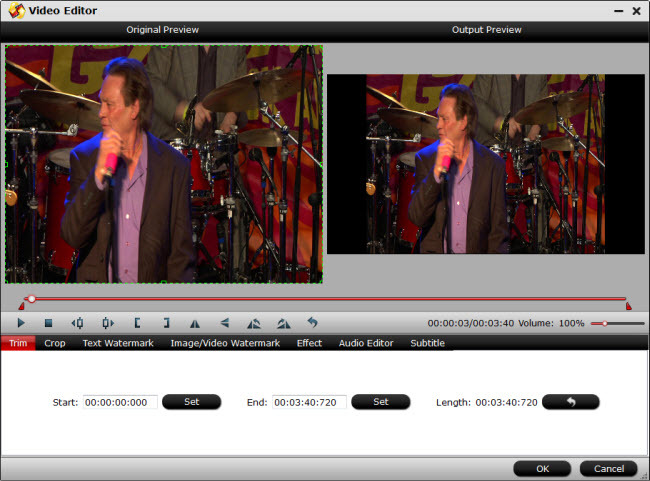 Before loading video files into Pinnacle Studio for professional video editing, you can do some simple video editing with the program's built-in video editing function. You can trim or cut video to remove unwanted parts from video, merge separate video clips into one file, split large files into small parts by file size, count or length, deinterlace interlaced video into progressive form, crop off the black borders around the video frame or change video output aspect ratio, add video/image/transparent text watermark to video, change video color effect or apply special rendering effects to video. How to Import Unsupported Video File to Pinnacle Studio for Editing? Step 1: Load unsupported video files into the program. Run the program on your computer click "File" > "Add Video/Audio" or "Add from folder" to add unsupported video files into the program. Step 2: Set output file format. 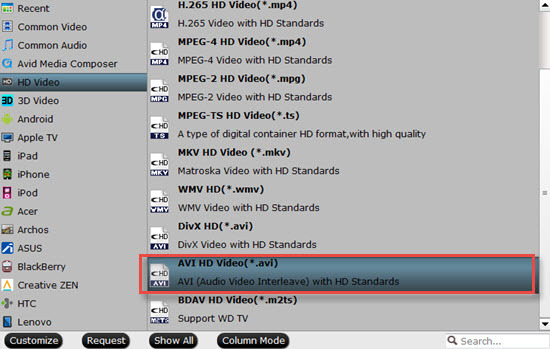 Click the pull down menu of "Format", from its drop-down list, choose one of Pinnacle Studio supported editing formats such as "HD Video" > "AVI HD Video(*.avi)". Check an item to active the "Video Editor" function, then click the pencil like icon on the top tool bar to open the "Video Editor" window, you can trim video length, crop video black bars, add watermark, apply sepcial rendering effect, remove/replace audio in video, etc. Step 4: Start video to Pinnacle Studio conversion. Once the conversion is finished, you can click "Open Output Folder" button to get the output files effortlessly, and now you will have no problems to import and edit any videos files with Pinnacle Studio 20 Plus/Standard version or previous Pinnacle Studio version. How to Flip or Rotate Videos using Handbrake? How to Use VLC to Convert AVI to MP4 on PC/Mac? 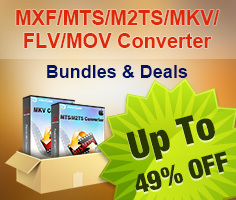 MOV Compressor: How to Compress MOV to a Smaller Size on Windows/Mac?